First for us…..was really fun doing something different for a change. The exhaust is built in complete 76mm Stainless steel using manderal bent tubing. 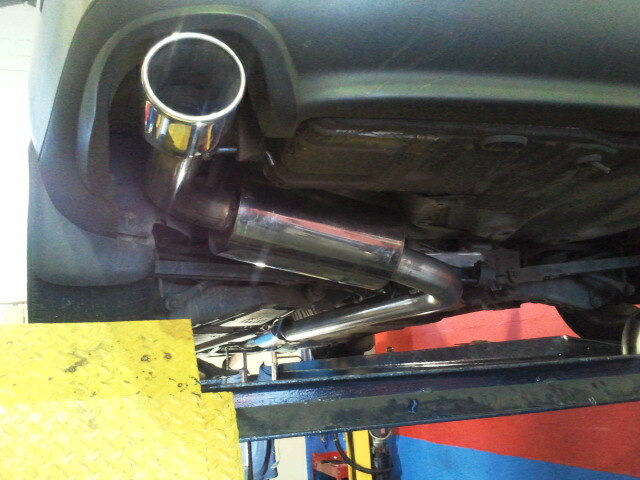 The system is built from the turbo downpipe all the way to the tailpipe in 76mm. We are no longer using separate bends and welding them together. The pipes are fully bent in a manderal machine and then fitted to the car. These pipes are ordered in and made to size for each individual application.